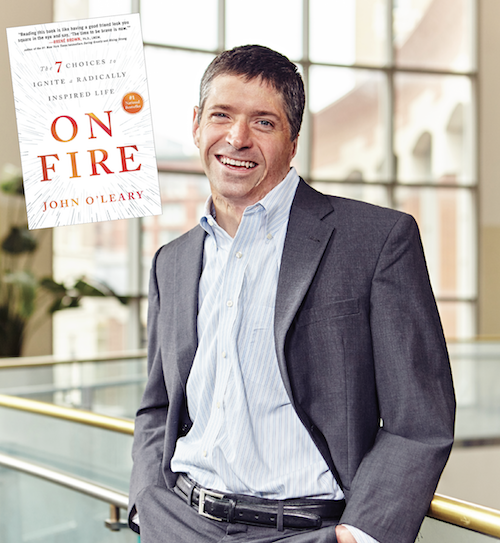 AAMD is proud to announce the Keynote Speaker for the 2018 Education Conference and Trade Show, John O'Leary! John's book, "On Fire: The 7 Choices to Ignite a Radically Inspired Life" was an instant #1 National Bestseller with over 100,000 copies sold and translated into 12 languages. John has inspired over 1,600 groups including Southwest Airlines, Pepsi, Re/Max, Kaiser Permanente, Enterprise, American Family Insurance, MetLife and more! The Keynote Luncheon is Available with the All Access Pass to the Education Conference and Trade Show on May 23. This epic story of survival was first showcased in his parents’ book, Overwhelming Odds, in 2006. Originally printing 200 copies for friends and family, his parents have sold 60,000+ copies, most in back-of-room sales at John’s speaking events. It was this book that first invited John to embrace his miraculous recovery and share it with the world.